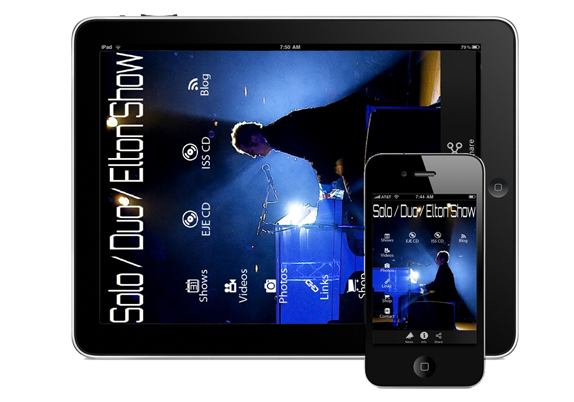 We specialise in these fields, as all these elements are linked in the entertainment industry. With over 25 years experience, we are confident in our quality and professionalism of services offered, and also have a customer / client satisfaction second to none. 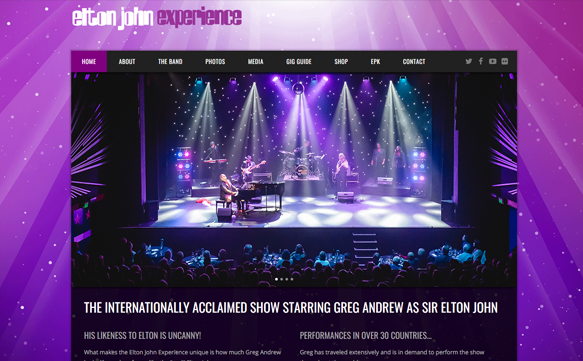 The ELTON JOHN EXPERIENCE is the internationally acclaimed Elton John Tribute Show staring Greg Andrew as Sir Elton John. Regularly featured on TV and radio. 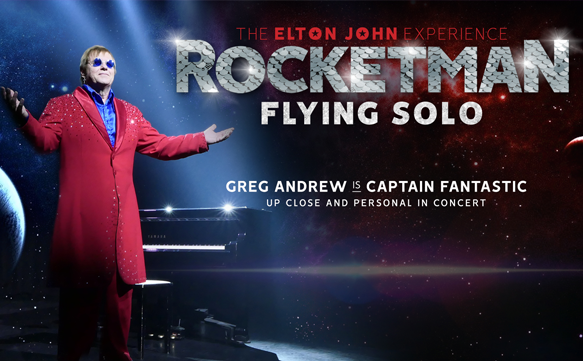 From solo appearences to full stage show with 8 piece band. 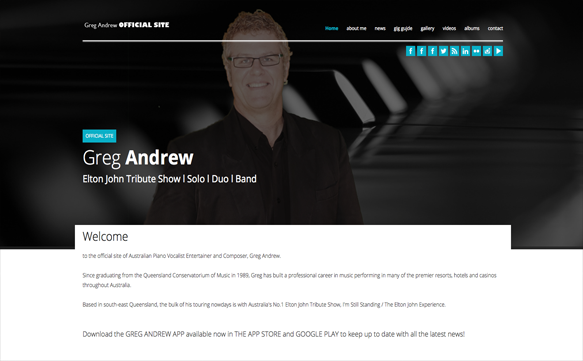 Official site of Australian piano / vocalist entertainer Greg Andrew. 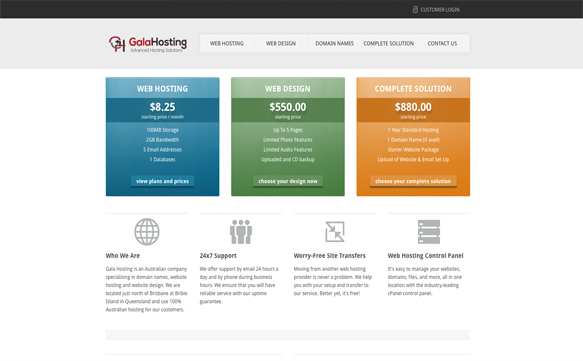 Specialising in website design, domain names and hosting accounts. Flexible all in one solutions. Competitively priced, great value for money. Customer service via email or phone support. Specialising in wedding and portrait photography. Affordable option for your special occasion. Disc of images will be given to you on payment.